Zec 13:7 Awake, O sword, against my shepherd, and against the man [that is] my fellow, saith the LORD of hosts: smite the shepherd, and the sheep shall be scattered: and I will turn mine hand upon the little ones. This particular prophecy, spoken by Jesus in Matthew’s gospel, was fulfilled when His disciples did scatter following His betrayal and arrest. This scattering of His closest disciples also fulfilled the prophet Zecharia’s words of Zecharia 13:7, which says, “Awake, O sword, against my shepherd, and against the man [that is] my fellow, saith the LORD of hosts: smite the shepherd, and the sheep shall be scattered: and I will turn mine hand upon the little ones”. This prophecy of Jesus is not a prophecy spoken by One Who will be glad or celebratory that His prophecy had come to pass. First of all jubilation over a fullfilled prophecy would be the mark of one not sure of the prophecy that he had told. Jesus is prophecying what He knows to be the truth. He is the Alpah and Omega, the beginning and the end. He knows the future as well as the present. He also knows the past as well as He knows the present. Jesus was there and He Who is the Word of God spoke all that is, into existence. He was no mere hit some, miss some, Johnny come lately prophet. He was and is the Great I Am, the knower and originator of all truth. It did not surprise Jesus when any of His prophecies came to pass. Secondly this was a somber prophecy. Jesus came to this earth to die. Revelation 13:8 tells us that Jesus was slain from the foundation of the earth. What grace God has shown to mankind, even before this sinning race was created, God had devised a way for us to be saved from our sin. Many times however, during His earthly ministry, Jesus would say that it wasn’t yet His time to die for our sin. Not everything had yet been accomplished that He needed to accomplish. But now, with everything accomplished, save His sacrifice on the cross, He had set His face like a flint toward that cross of sacrifice. And looking through time at that moment, knew that He would die almost alone. His mother would stay as close as allowed, but his disciples would scatter, one disciple would swear an oath by God’s name that He did not know this Man, meaning Jesus. Still Jesus loved these men and showed nothing but kindness to those who would desert Him. Though all [men] shall be offended because of thee, [yet] will I never be offended. Though I should die with thee, yet will I not deny thee. It would not be terribly unusual to hear a rooster crow around Jerusalem in that time period. It would, however, be unusual to hear one crow at night, and at the precise time that Peter denied his Savior the third time, once even saying an oath on God’s name that He did not know Jesus. Let’s not beat Peter up too much though. All of the disciples fled, all denied that they had been with Jesus. 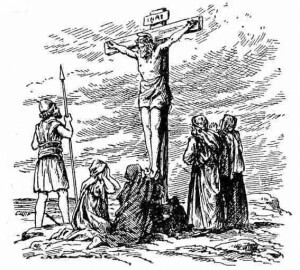 All of these men scattered and only one, the disciple whom Jesus loved, John, was there for Him while He was crucified for my sin and yours, and for all the sin of the world. Jesus knew that Peter would need special encouragement because He had been the most strident of the disciples against the words of Jesus that the disciples would be offended and scattered. This word to the disciples and the manner in which it singles Peter out, would let Peter know that there was forgiveness and peace with God. If you have been offended of Him there is forgiveness. All you have to do is to repent and accept this forgiveness. These men repented and Peter repented. How do I know this? By watching their actions in the rest of the New Testament, especially in the book of Acts. There was no more shrinking back, no more offense at the cross. There was a boldness, a strength, and an annointing by the Holy Spirit that we see at the first part of the book of Acts, especially in the second chapter where Peter preached a sermon after being filled with the Holy Spirit. If you are in need of salvation, you will find it at an old rugged cross. Come to Jesus. 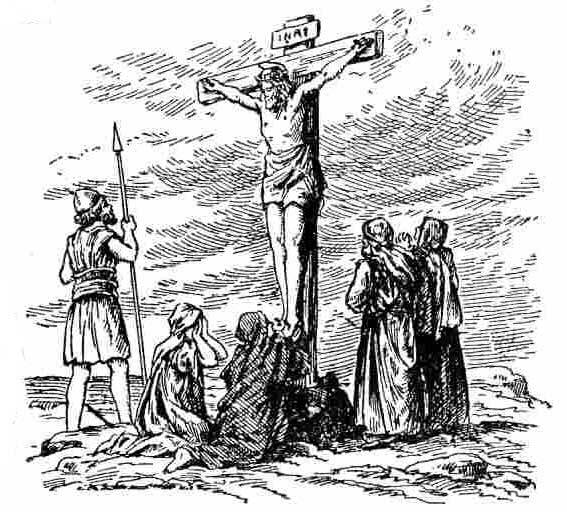 Were you at one time saved by the cross, but now are offended by it and have replaced salvation by the cross with another gospel. Have you replaced the good news of the gospel with something less offensive to you and more appealing to your need to be your own god? Come back to the cross where Jesus died for you. It is not too late. Come back to a Savior who is mighty in words and deeds. Come back to a Savior who offends the haughty, and lowers Himself to lift up the humble. Come to Jesus. What a prophecy, what a Savior. I am so thankful that He was not so offended by me that He would bypass a cruel cross and allow me to be lost forever. How could I be offended of One such as this? Hallelujah, what a Savior!! !